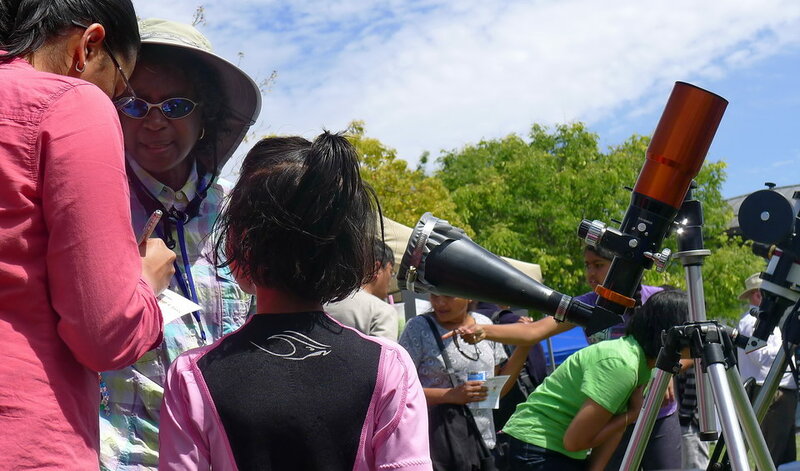 At the end of the day SJAA’s 5 scopes shared the power of the sun with 100’s of Earth Day patrons. We handed out a couple dozen info sheets and signed lots of Eco-Passports (Fill-in cards that get kids and adults to visit an learn). Enjoy the pics below. 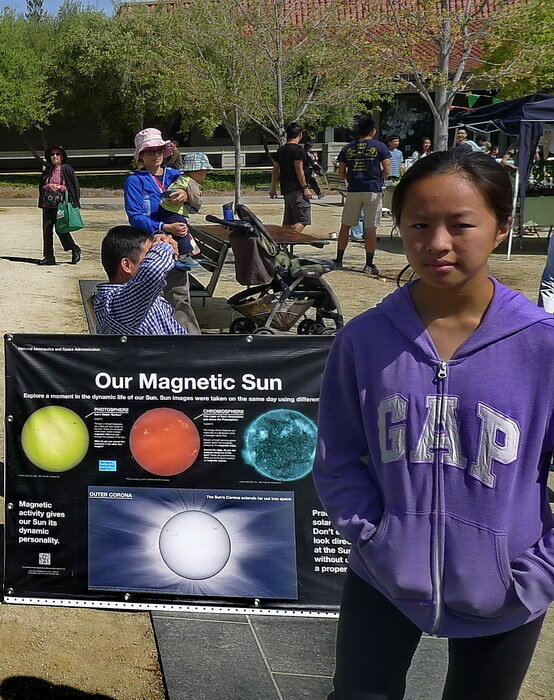 SJAA at 2015 Earth Day City of Cupertino. Simply said our Sun drives life on Earth. Bill at Club’s scope. 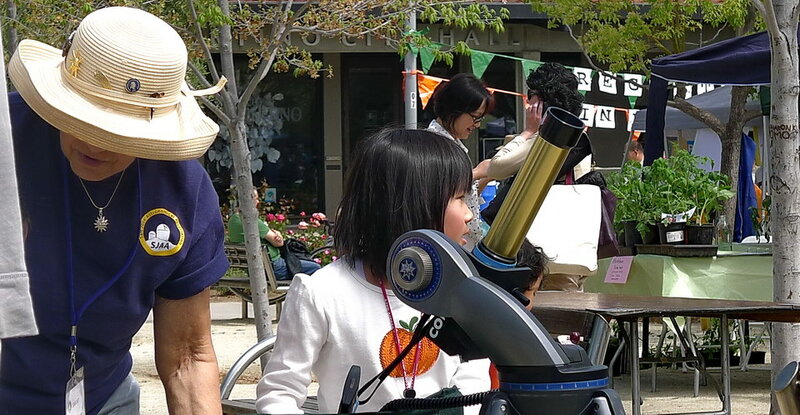 We had several prominences all in the 2-3 earth diameters range. Terry at her H-Alpha. Lot of girls stopped by today. 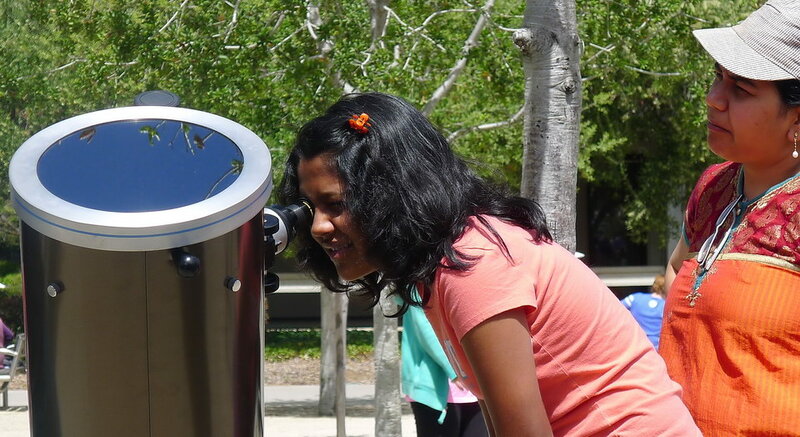 Bill’s 10-inch Dob saw more sunspots than estimated by NOAA. Terrific faculae today. 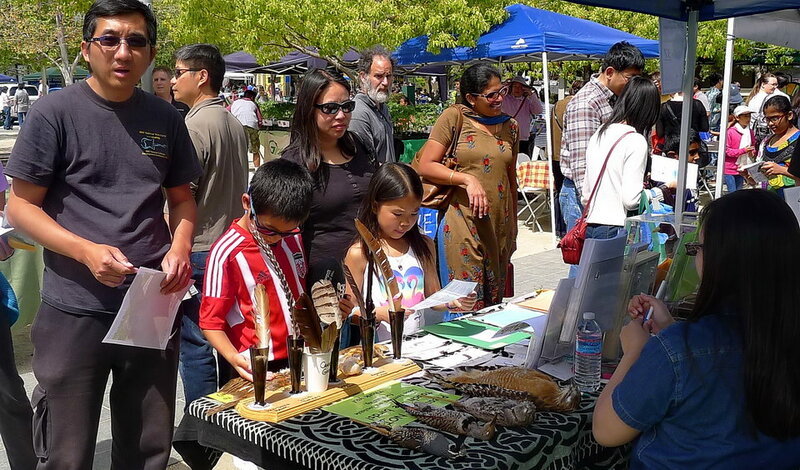 Walking around Earth Day and the art of connection. 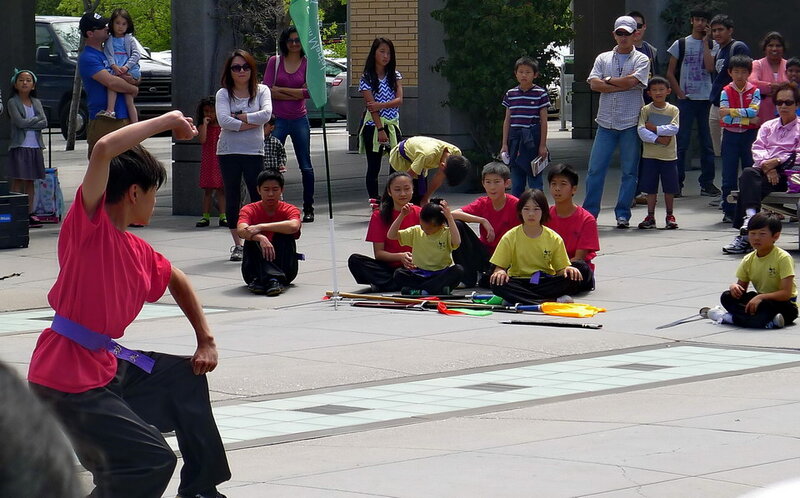 Thanks to are volunteers who brought a smile and awe to all! 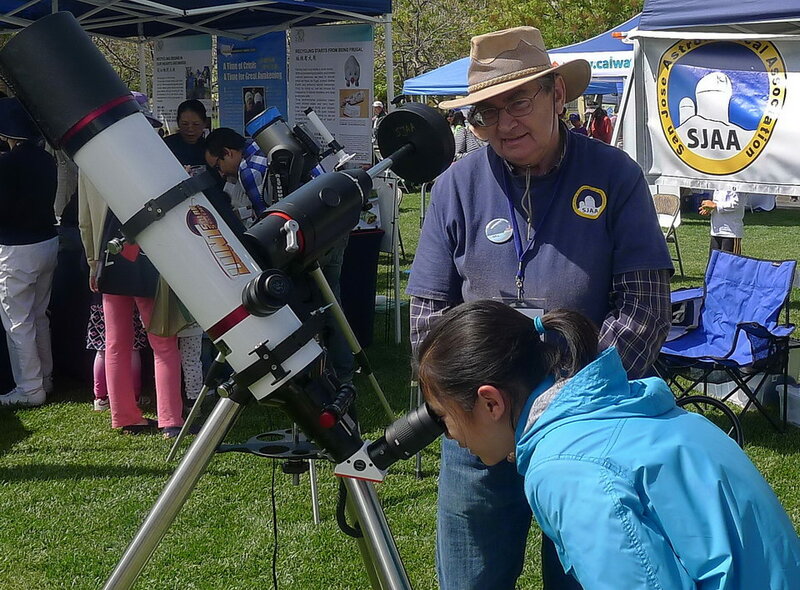 Thanks for looking and save the date for Astronomy Day at Campbell park Saturday April 25. See the details at our Meetup.com site. 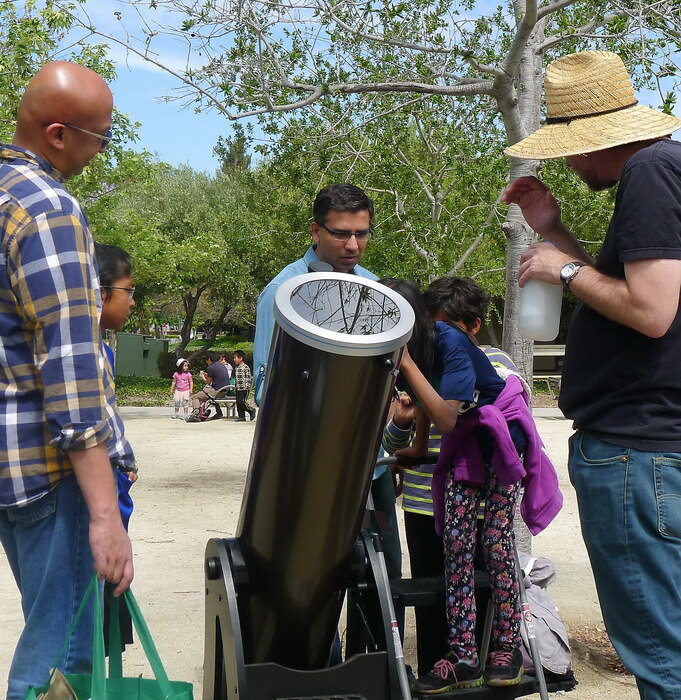 Bring yourself or a solar scope and enjoy a day in a park.